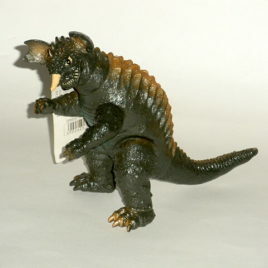 This is the hard vinyl Baragon figure produced by Bandai in 1992. 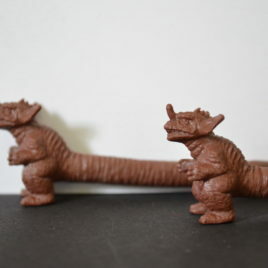 This wonderful figure stands approx. 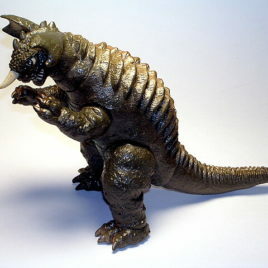 7 1/2 inches tall and represents Baragon as seen in the 1965 movie Frankenstein Conquers the Earth. 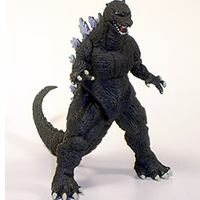 Articulated at the arms, legs and neck, this is a DIFFICULT figure to find. It is hard to find even in JAPAN! Comes in MINT condition with a MINT Tag. CLAWMARK TOYS WARNING: Not suitable for very young children due to sharp point of horn. Scroll down to see additional photos. 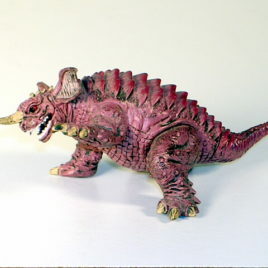 Baragon 1965 from High Grade Set # 5. Amazing detail and color! 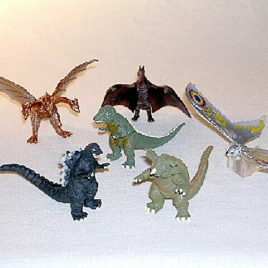 These "High Grade" solid vinyl figures stand approximately 2 ½ inches tall. 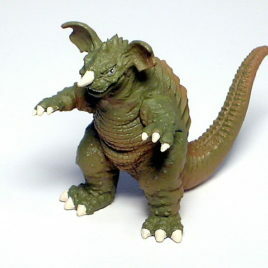 Baragon is from the Movie "Frankenstein Conquest the Earth". Awesome!! 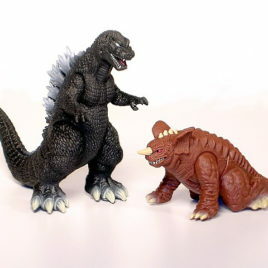 (coloration is different than the Baragon from the Godzilla Chronicles High Grade Set # 2). 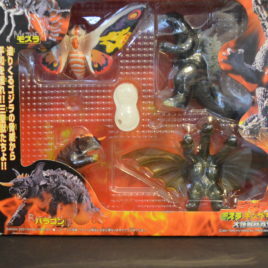 CLAWMARK TOYS WARNING!! Small parts might be hazardous for very young fans.